To wrap up 2018, Fox’s Candy whipped up something special: Fox’s Candy Studio. To reintroduce their 17 delicious candy flavors, they teamed up with local artists Kamalika, Chic & Darling and Diela Maharani to create unique and customizable candy gift packaging you can gift to your friends (and yourself)! 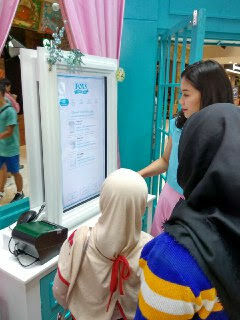 The festive-themed booth was placed at Kota Kasablanka, Jakarta from 15 December 2018 to 1 January 2019, and invited customers to start customising their gift packages on a touch screen, which after payment a crafter will create it by hand and prepare it according to request. 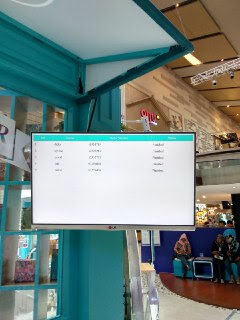 The customer would then receive an SMS when their order was ready, which could also be seen on the order queue screen near the pick-up window. 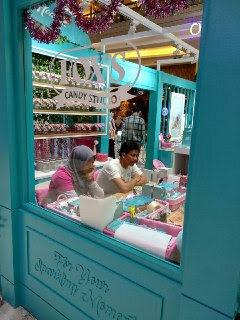 Inside the Fox’s Candy Studio booth, the customer can go up to one of the three touchscreens provided to start creating their gift package. 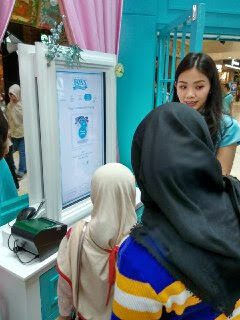 After a short tutorial, the customer is asked to input their name, email and phone number, for easy communication later on. 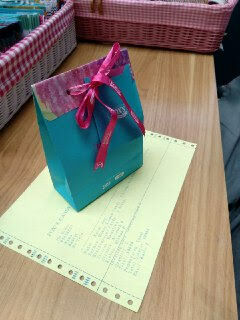 Then they are prompted to select their packaging type: glass jar, paper bag or favor box. Each type of packaging has different design options and candy capacity. 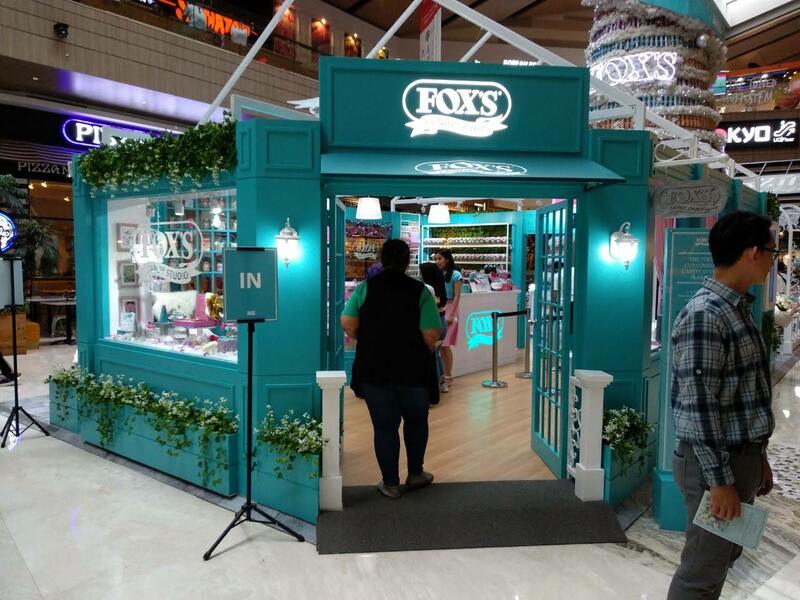 There is a selection of custom designs made by the artists – customers can select their favourite artisan from the screen, or select a special Fox’s Candy Studio design. 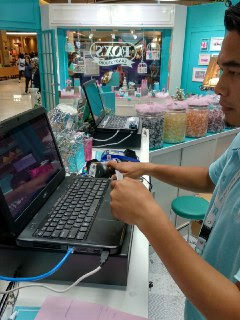 The customer can then choose their selected candy flavors on the screen, depending on the packaging capacity. 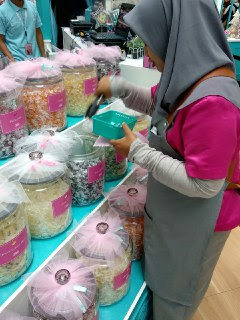 One scoop consists of 10 candies, and for instance, a glass jar can be filled with 5 candy scoops. Customers can select different flavors for each scoop. For each type of packaging, there is a selection of parts that the customer can choose from which use the designs from the artists. For instance, the glass jar can be covered by a cloth printed with the artist’s design; the paper bag has the design printed on one of its sides, and the favor box will be gift-wrapped with the specially-designed paper. 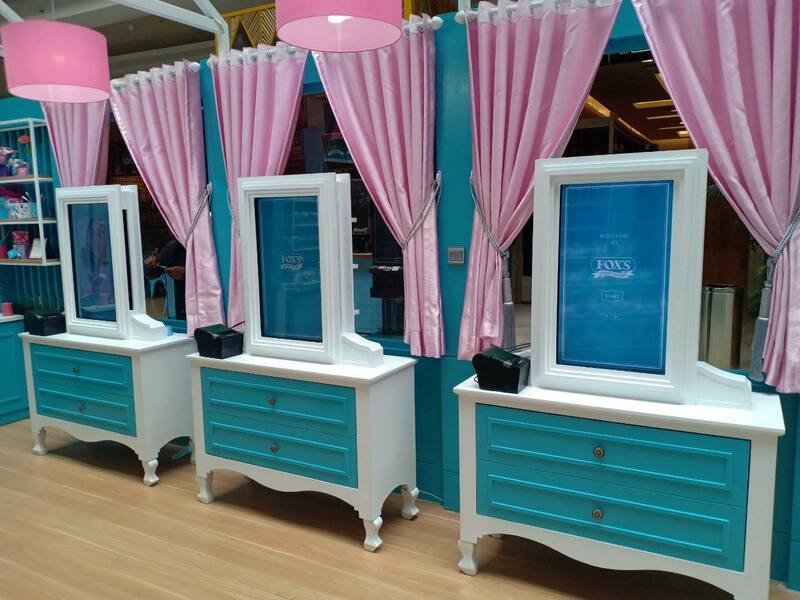 The customer can choose these designs, through these screens. The customer can also select the ribbon colour, sticker and greeting card (also with the artist’s designs) to go with the gift package. 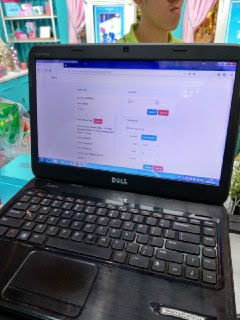 After finishing their package, the customer can add a new order or confirm for checkout. 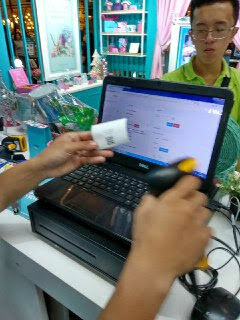 Once they confirm the order, they will get an order receipt with a QR code, to be shown to the cashier. The cashier scans this QR code, confirms the order, and processes the payment. 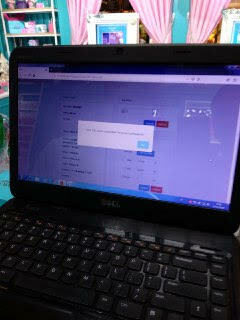 After payment, the order is given to the crafters, who will work on the requested packages. 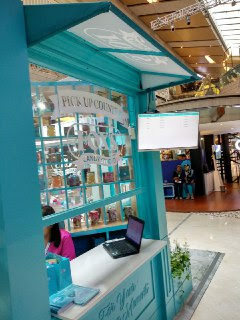 Once complete, the gift package is handed over to the pickup desk, where they will mark the order ready for pickup in the system. 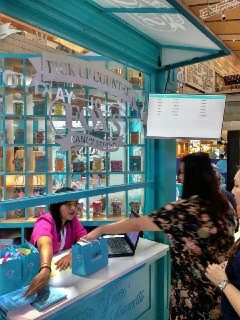 The customer will receive an SMS to notify that their order is ready for pickup, just in case the customer is not currently near the Fox’s Candy Studio booth. 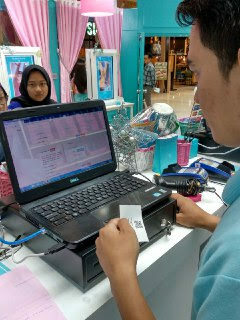 In collaboration with Fox’s Candy agencies, Wooz.in created the customised software, custom POS system and inventory control dashboard, including the supervision of hardware deployment and field troubleshooting.